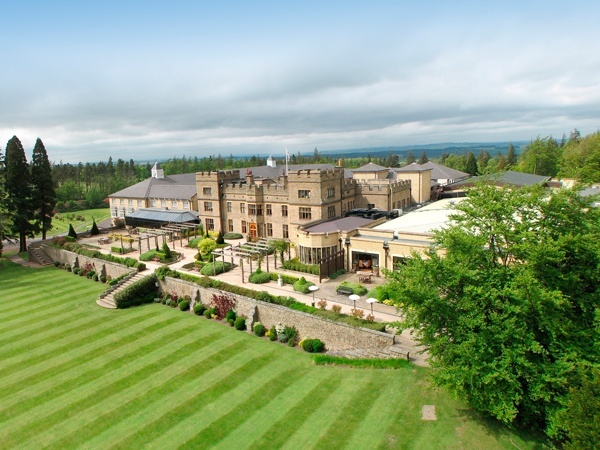 Set west of Newcastle in 1000 stunning acres of Northumberland forest and moorland is Slaley Hall. The hotel owes its existence to Charles Samuel Hunting, who first purchased the estate in the late 1800's. Today it remains a symbol of Edwardian elegance and a grand retreat from the hustle and bustle of everyday life. 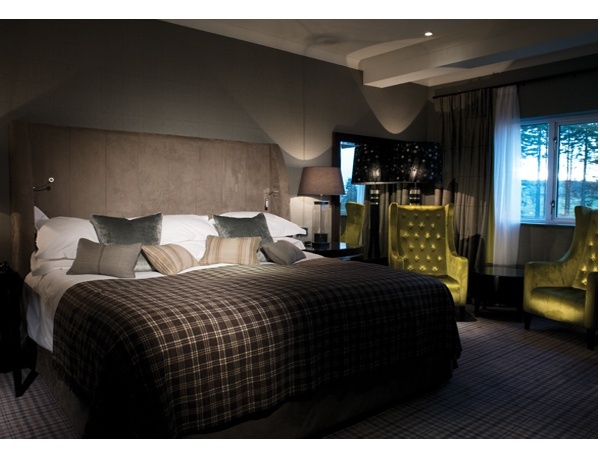 Guests have a choice of 141 individually designed rooms, including suites in the Old or New Hall with spa baths, separate lounges and bedrooms, and a pick of different eating venues - Hadrian's Brasserie, The Claret Jug and a range of private dining rooms. 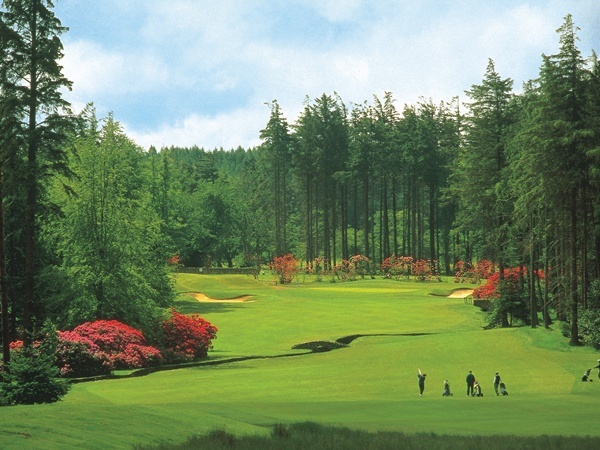 Slaley Hall is the only hotel in Northumbria to have two championship golf courses. Both courses are 72 par, and cater for anything from local community and corporate events through to major national and international tournaments, at the same time maintaining the standards of service and course access demanded by regular club members. Slaley Hall has hosted the England football team - who took advantage of the hotel's football pitch during their stay. As an alternative to golf, guests can relax by taking a swim in the leisure club's 20m pool, enjoying a treatment in the health and beauty spa or sampling the estate's numerous outdoor activities. These include clay pigeon shooting, archery, quad biking, mountain biking and off road driving. There are also options of short or long walks around the hotel's extensive gardens, which enable guests to enjoy the Northumberland scenery, as well as the estate's Japanese garden's and resident red squirrels. This hotel was very good for bed, excellent for breakfast, but was very poor for evening meals. We are vegetarians, but even the meals for carnivores, we were informed by other guests, were in many cases inedible, because they were unable to chew the meat, and the vegetables looked and felt as if they had only been shown the hot water ! We were being served the same dish three meals in a row but complained to the waiter who arranged another nearly inedible meal substitute. Our advice is to have b&b and eat elsewhere for evening meals. As part of my Fathers 87th birthday we decided having afternoon tea at Slaley would be a lovely gift,and boy was it .! On our arrival and seeing how infirm my Father was in walking a manager informed that I could park car in the "circle" outside the main reception. Tick 1 .We were then shown to which room we were to go to .Tick 2 . We then all 5 of our party were seated in a position that we were overseeing the golf course.Tick 3 .Christian our personal dinner assistant then explained options took orders for drinks and afternoon tea. We all opted for "the bookcase" instead of the "birdcage" The bookcase was more savoury than sweet where as the birdcage looked more sweet than savoury and our choice was not disappointing. For all his help with ordering and his attentive service Christian takes tick 4 5 6 and 7. Throughout our afternoon tea we were at our pace and no urgency for us to hurry .Tick 8 .Christian at one time was informed that it was my Fathers 87th birthday and organised a separate small dish with happy birthday with another 5 treats on it .Tick 9 and to finish of tick 10 is for the 10 that we give to Slaley Hall for its greeting and service staff ,chefs and kitchen staff and for an excellent afternoon tea experience .We shall definitely return. Stayed two nights in a VIQ room and was very impressed with the service and quality of the rooms and the food. Special mention for Matthew in The Hadrian restaurant who served us this evening, thank you.